This Ambrosia Sachet is filled with the scents of Pineapple, Lime, Jasmine, Peach & Coconut mixed together to create a memorable scented fragrance. 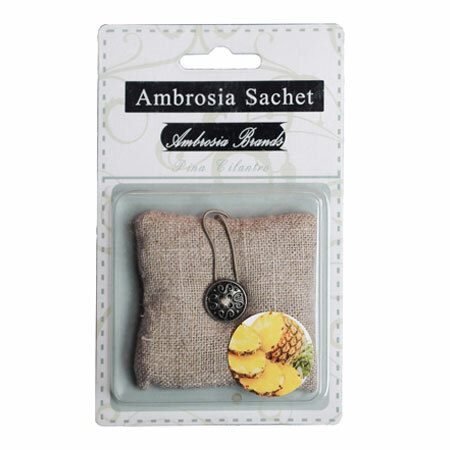 Ambrosia Scents and Ambrosia Sachets, Is the new way to fill any space with fragrance and stylish decor. Clean and easy to use, no messy wax or oils, no heat fire risk. Very Portable and rechargeable.